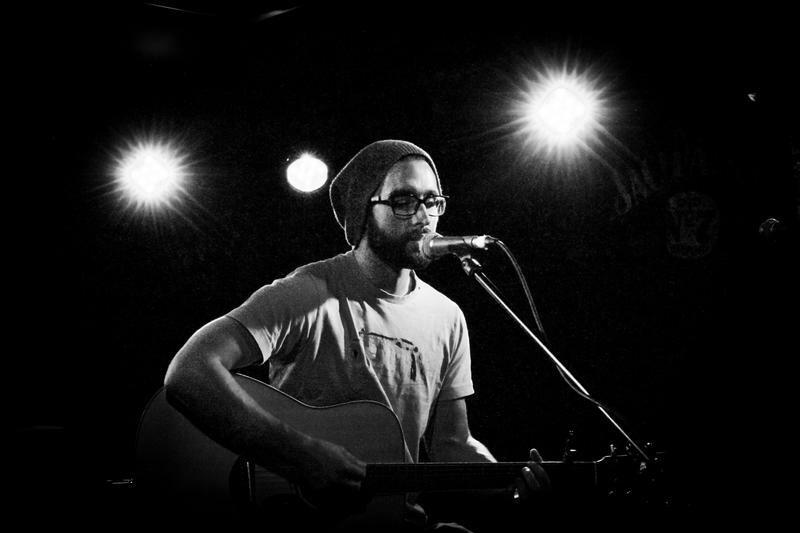 Richard Maule is a West London singer/songwriter who we at The Edge believe is one to watch. His acoustic bluesy/folk style is often compared to the likes of Damien Rice, Hozier and Bastille and effortlessly combines an intense vocal range with an electro-pop edge. Despite learning to play guitar aged 11, a musical streak was surprisingly not yet instilled in Maule. Instead, his musical passions began to evolve during his time at University (in Winchester, specifically) and were amplified following an injury involving Capoeira, a Brazilian martial art form which he studied for several years before beginning to teach, that allowed Maule the free time he required to truly pursue his passion. Having realised that due to the injury he would be unable to continue his martial arts training, he began to put his entire focus in music until he eventually believed in the sound of his own voice in the same way that his friends and family did. Maule has been aided by the growing emergence of social media in promoting his music and being able to perform at various venues round the UK. Recently he’s supported Winchester local Josh Savage on his UK tour as well as having been interviewed by Dermot O’Leary in a Radio 2 session, something that he believes was made all the more possible thanks to social media and its ability to not only help him gain a larger fan-base but also connect with musicians of a similar craft from all over the world. His latest release, I Can’t Feel It, is off his Esoteric Groove EP and includes an official music video which was again inspired by Maule’s involvement with Capoeira. The video features two of Maule’s oldest friends, also aspiring ‘capoeiristas’, performing alongside each other, displaying the quick and often complex moves that make up the art itself. Additionally, the video was partially filmed at The Iron Club in Vauxhall as it contains footage of Maule boxing, revealing yet another interest of his that he was able to incorporate into filming. These particular scenes add another edge to the track, with the vigorous movements being the perfect accompaniment to the spirited lyrics and not entirely dissimilar to that of You Me At Six’s ‘Rescue Me‘. The remainder of scenes were filmed in the graffiti tunnels below Waterloo station, adding an artsy backdrop to the already present aesthetics of Capoeira and Boxing, which tied together creates a truly inspiring offering. Be prepared to hear big things from Richard Maule. If this first official video is anything to go by, I’m sure we won’t be disappointed. His two previous EP’s ‘Roots‘ and ‘Thank You’ are available to stream for free on Spotify, alongside the new single ‘I Can’t Feel It’ which is available via YouTube, Facebook and Soundcloud.